I would like to thank John Elliott for granting his permission to adopt and adapt The Saanich Year for the Race Rocks Lesson Plans Website. The Saanich Year is a resource developed in School District 63 (Saanich) about the thirteen moons of the Saanich Peoples. It was created in 1993, by Dave Elliott Sr., Earl Claxton, Sr. and John Elliott, and was funded by the Saanich Indian School Board, the British Columbia Ministry of Education ® Aboriginal Branch, and the Ministry Responsible for Multiculturalism and Human Rights (B.C). The authors would like to honour the memory of Dave Elliott who recorded much of this information. His work in developing the SENCOTEN orthography enabled the authors to record and publish this material in book form, in the SENCOTEN language. There are several types of calendars in use today. This paper will discuss the Gregorian, the lunisolar and the lunar calendars. The calendar that we use in our western daily lives is the Gregorian calendar. Divided into twelve months, its length is based on the 365 1/4 days it takes for the earth to travel in a full circle around the sun. Because there is that extra 1/4 day in every year, an additional day is added every four years. When this happens, it is called a "leap year". Traditionally, the western calendar is used to determine beginnings and ends of seasons as well as special days, like holidays. It has been in use since its creation in 1582 by Pope Gregory. However, before that time most westerners used the Julian Calendar, established by Julius Caesar in 46 BC. The second type is the lunisolar calendar. It is based on a combination of the sun and the moon. In this calendar, a month is measured by the time it takes for the moon to be placed directly between the earth and the sun. This calendar has twelve months annually, except for seven times every 19 years, when a thirteenth month is added. This results in the holidays being moved every year, but staying within a season. An example of changing holidays would be the Jewish celebration of Chanukah which is always around the beginning of December, but not necessarily on the same day every year. The third calendar is lunar and is based on the cycles and phases of the moon. The days in the month are determined by the time it takes for the full moon to wax and wane until a full moon arises again. This is the type of moon used by both the Saanich peoples. What you will be studying in this activity is referred to as the –Saanich” Year rather than the –Saanich Calendar” because it shows the integration and flow of activities that occurred when the Saanich peoples lived a traditional life that was linked to nature. 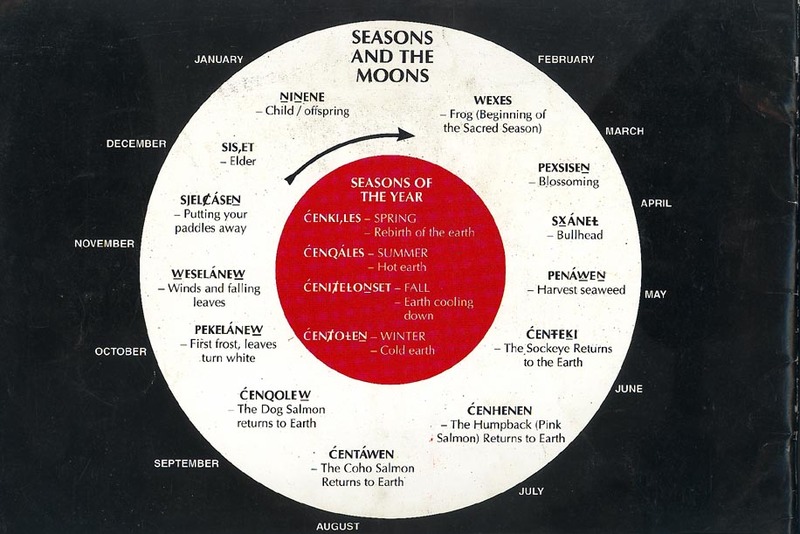 The moons in the Saanich year are markers, not calendar months. Their –year” was more than 365 days. If you compare the Saanich year to the western system you will see that some years there have been 13 moons and sometimes they have 12. As well, you will see that sometimes there are 29 days between moons and sometimes there are 30 days. As the authors noted, this system may seem confusing at first but it is easier when one remembers that nature is very complex should not be reduced to a calendar or a clock. LifeCycles cultivates community health by connecting people to the food they eat and the land it comes from. We support the region in growing, accessing, and eating local food in ways that foster diversity and enhance our urban environment. With the Acknowledgement of the Victoria Natural History Society and their Perpetual Calendar as well as guidance from Claudia & Darren Copley. With Acknowledgement of Saanich Parks & Recreation in particular support from Jenny Eastman & Rick Hatch as well as our teacher & mentor Colleen O’Brien. 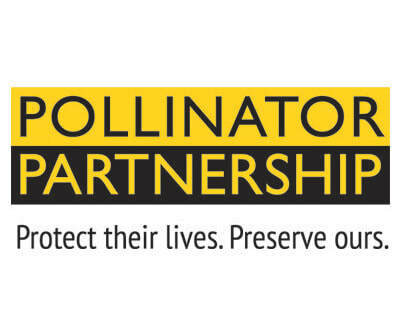 With Acknowledgement of Pollinator Partnership Canada Acting Researcher and Program Director, Lora Morandin, Ph.D. as well as well as Jennifer Lotz assisting researcher and Kristen Miskelly from Saanich Native Plants.